Camille. Lynn. Monique. Becky and Margaret. Jaime. Olga. Christina. Rasheera. Odalys. Danielle. These are the seemingly everyday women whose stories inspired (Extra)Ordinary Women - and whose resilience and strength will inspire women around the world. These women have defeated breast cancer, addiction, and homelessness. They have lived through the Boston Marathon bombing and hundreds of surgeries. They have traveled from foreign lands to create a better life. They have endured brain cancer, abuse, and poverty. They have given a home to dozens of special-needs children. They have known loss, pain, and fear. They are survivors. And they share their stories to empower other women who need something - and someone - to believe in. 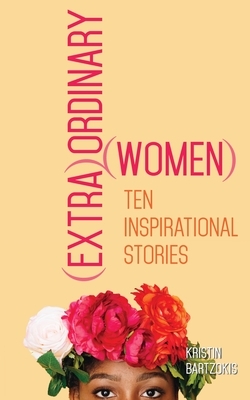 (Extra)Ordinary Women reminds us of the amazing stories that we find all around us when we open our eyes, hearts, and minds. And these extraordinary women remind us to never give up, never quit, and never underestimate the power of a woman. Kristin Bartzokis is herself an extraordinary woman. Born with Treacher Collins syndrome, a craniofacial abnormality, Bartzokis experienced a childhood marked by surgeries and medical procedures, all while she became a champion gymnast. As an adult, she has proudly accepted the challenge to stand out. A marathoner, designer, author, and advocate, Bartzokis has been featured by Cosmopolitan and is a contributor for The Mighty. She released her Benjamin Franklin Award-winning memoir, Diary of a Beautiful Disaster, in 2017 and blogs at diaryofabeautifuldisaster.com.